Your local high street shop is run by a dedicated team of staff and volunteers. We’re always looking for good quality items to sell in our shops. You can drop off donations to your local shop or donation bank. If you have things that are too big to carry, you can book a free collection. You can also call us on 0808 250 0024 to book a collection. 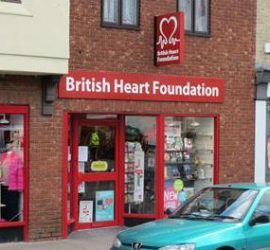 Take a look at our online shop for a fantastic selection of BHF goods and products to keep your heart healthy.